He is not going to allow himself to be drawn into the usual clichés. The thing about reality and illusion. About the reality of Bollywood. The illusion of art. Just because his work is being exhibited at Mumbai’s Mehboob Studio where celluloid is spun into Hindi potboilers. Just because viewers and the local press are desperate to find a context in which to understand these huge steel sculptures in their rather unconventional setting. Because they seem to have no antecedents, no points of reference. 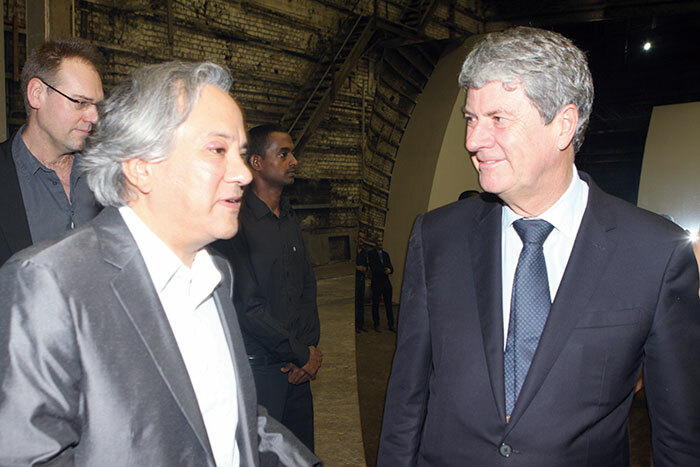 Frankly, India is floored by the works of Anish Kapoor, being exhibited for the first time in the country at Mehboob Studio, Mumbai and the newly renovated NGMA, New Delhi. “Bollywood? One could have played with that I suppose…. But, I wanted to bring the work as it really was, not a pastiche….” says the artist. Kapoor’s first ever showing in India and the largest outside the UK, is being presented by the Ministry of Culture, Government of India and the National Gallery of Modern Art India, the British Council and Lisson Gallery in association with Louis Vuitton and the Tata Group. Inaugurated by Congress President, Sonia Gandhi, the importance of this two-city showing cannot be underestimated. 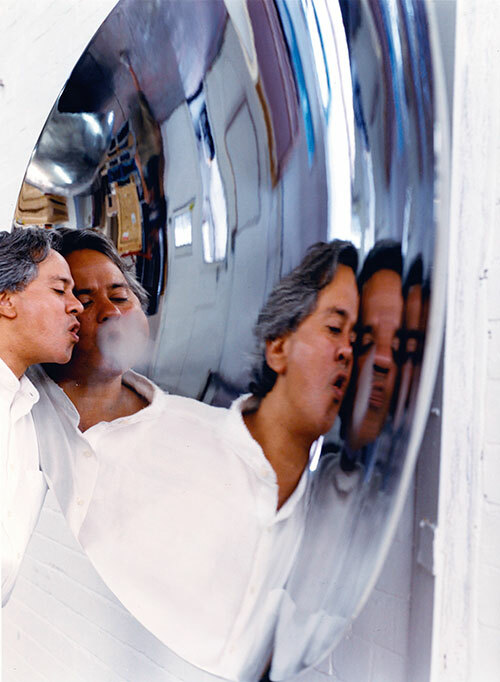 London-based Anish Kapoor was born in Mumbai, grew up in India and left in 1973 to pursue his studies, at first in engineering in Israel but soon after, at Hornsey College of Art and Chelsea School of Art Design in the UK. Only seven years after graduating from Chelsea, he produced major shows in galleries in Paris, London, Rotterdam, Liverpool, Lyon, New York and Basel. In 1990, he was awarded the Turner Prize and in 1991, he was selected to represent Britain at the Venice Biennale where he was awarded the Premio Duemila prize. Each of the exhibitions in India presents a different view of the artist’s work. 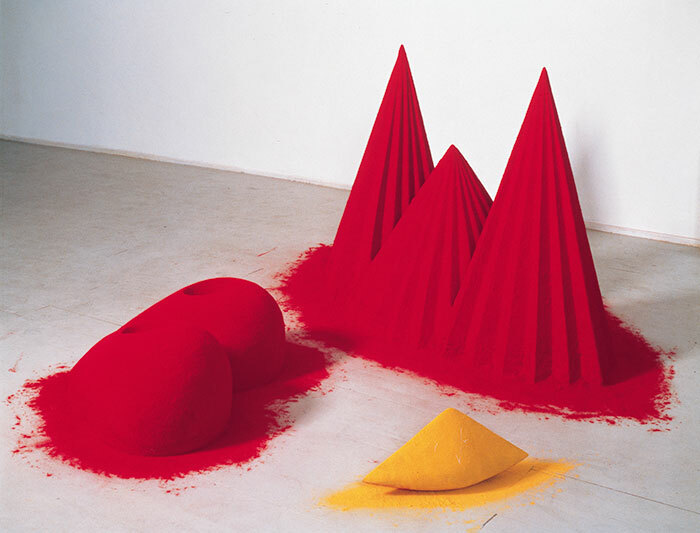 The Delhi exhibition features his early pigment based sculptures of the 1980s as well as architectural models of his work. Mumbai on the other hand displays more recent sculptures in polished steel and in wax. In fact his stainless steel and wax pieces have never been exhibited before in such close proximity. Both sites feature works from a recent, record-breaking exhibition at the Royal Academy, London which drew over 275,000 visitors in less than three months. The highly polished stainless steel in simple shapes blurs the lines between technology, engineering, art and architecture. The free standing S-Curve in the centre of the large area, mirrors the curve of a question mark in stainless steel and its sheer size goads you to walk around to experience it fully. While the polished steel seems almost liquid in its reflections and counter reflections, it actually echoes the mathematical model of the title, sigmoid curve. Another work, Non-object (Spire), reminds one of a trumpet or a witch’s pointed hat even as it reflects and re-reflects its environment, like a kaleidoscope. Two untitled spheres on the wall offer up their reflections – one broken into a myriad jigsaw pieces, throwing the mind back to mosaic pieces of glass. 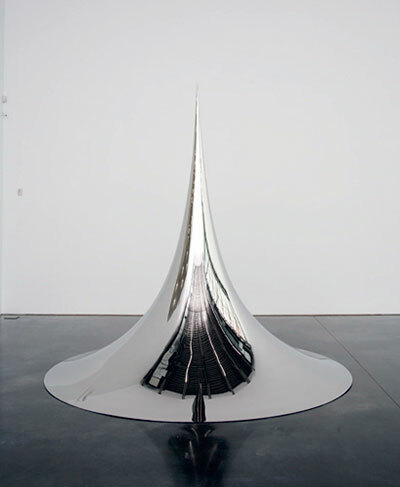 “Mirrored sculptures have historically been understood by the Egyptians who worked mainly with convex form. 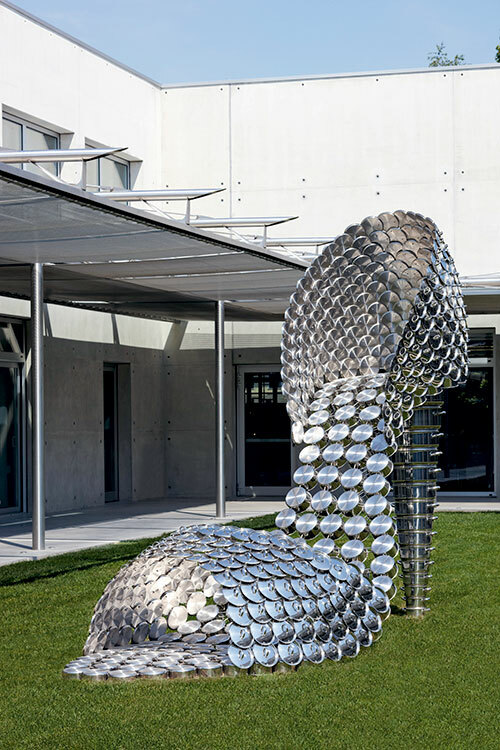 I have worked with concave form which has only really been used in science,” says the creator. Mumbai viewers are also treated to one of the sculptor’s loudest works. Literally. Shooting into the Corner features an enormous cannon shooting huge pellets of red wax into a corner. “A kind of psycho-drama is at play,” says Kapoor, often starting himself at the loud retorts. An artwork is being created on the wall, as the wax sticks, falls, piles up. The silence of the gallery is broken, viewers jump out of their skin while a comment on the process of making art is revealed. The work defies any single explanation or meaning for as the artist maintains, he has nothing to say. Is this a comment on violence, masturbation, lifeblood, the phallic gun, the receptive corner – the work is so many things to so many. “It’s fantastic!” says sculptor and installation artist Subodh Gupta, in a detached kind of way. “And I did not know that Mumbai had a studio like this!” Artist Anju Dodiya looks at the reflective surfaces and claims, “Put these outdoors and it would be quite different. The blue of the sky would be pulled down in reflection while the ground would move up. It is amazing the way he works with surfaces.” Actor Rahul Bose professes his great admiration for the work, particularly “in the way that they engage the viewer”. Artist and designer, Rajeev Sethi, especially flown in from Delhi for the exhibition, drops a teaser thought as he reflects on the reflections around him. “Mumbai needs a mirror,” he intones. Interpret that as you will and yes, the city would embrace a reflection by Anish Kapoor anytime, at the most literary interpretation of that statement. 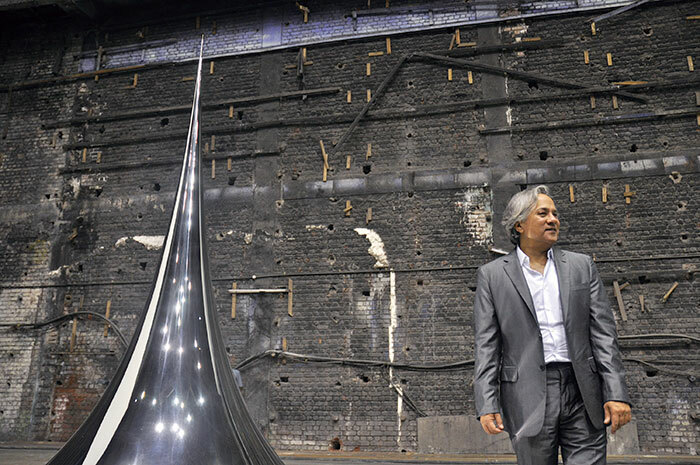 Kapoor however refuses to make any statements that will make a viewing of his work easier. He has nothing to say, he states, as always. You may want to deconstruct his oeuvre as inspired by the Indian ethos or his Buddhist leanings. The artist however has resisted all attempts to hold him to his past or cultural ‘origins’. Writes art critic Homi Bhabha in his wonderful essay of Kapoor’s work: ‘Kapoor’s repeated insistence on the power of the ‘self-made’ as the repose of the sculptural object suggests that the concept of svyambhav – the Sanskrit word for the ‘self-born’ aesthetic (as distinct from rupa, the manmade form imposed through human artifice) – has been a long preoccupation of his thinking.’ This may be best seen in the work Shooting into the Corner, mentioned before. Kapoor has several important pieces of public art to his credit and after this exposure, surely the people of Mumbai and Delhi will refuse to be left out. Ending the Delhi-Mumbai debate before it has begun he says, “I don’t see it in terms of which city but what’s the site? Sites that have significance…. Make one that is not significant into one that is significant.” Like the incredible Cloud Gate at Millenium Park, Chicago which reportedly saw real estate prices soaring in the previously middle-class area. Sky Mirror at Rockefeller Centre, New York, continues to engage passersby by subverting the urban landscape as they walk past. Kapoor’s latest commission is to create the ArcelorMittal Orbit, a sculpture that will be 22m taller than the Statue of Liberty and which will consist of a continuous looping lattice of tubular steel, for London’s 2012 Olympic Park, to be created in partnership with steel magnate Lakshmi Mittal. While Kapoor may feel that referring to one’s country of origin “seems to question one’s ability as an artist” he continues, “I am very proud of being an Indian but I do not necessarily want to be an Indian artist. I want to be the best artist I can be. One has to make a good exhibition, the best one can make…. I do not work out of an Indian sensibility…. I also do not make works out of the psycho-biographical. 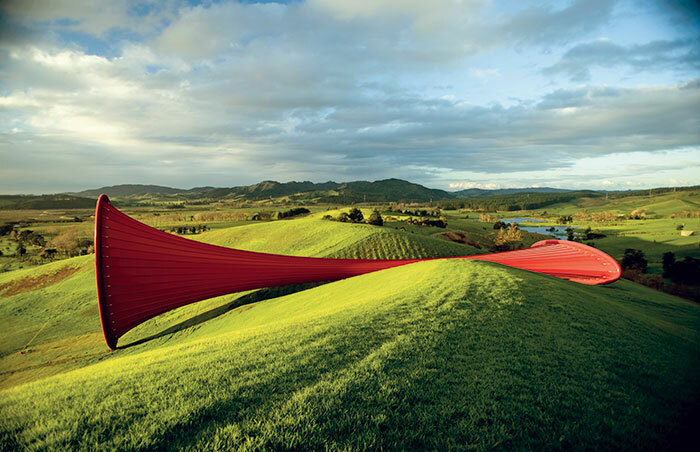 One may say that my obsession with red has something to do with India but beyond that I would not want to tie it with something specific.” India, however, has inevitably and wholeheartedly claimed the sculptor as her own – it has been an amazing homecoming! 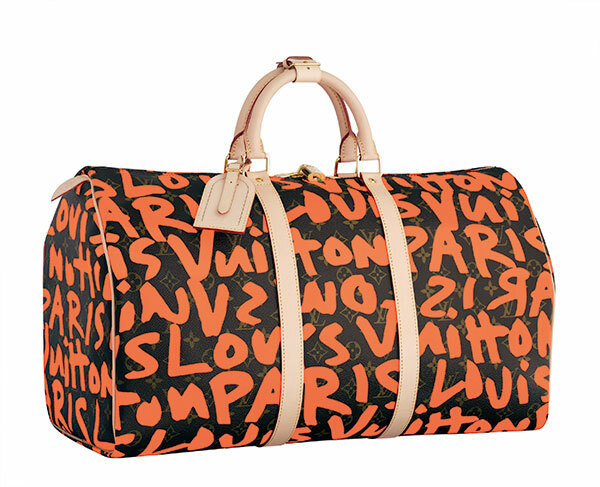 When did Louis Vuitton start collaborating with artists? Louis Vuitton has always had a very strong vocabulary, a very strong history and probably due to that was never afraid of collaboration and influences from the outside world. And every creative influence, whether it was the Art Deco period that influenced the creativity of Louis Vuitton or whether it was the colonial period that you see through the Universal Exhibition….this very close relationship with artists has always been part of the history of the company. That of course has been accelerated over the last 20 years due to the fact that many of us – and it has been really a common language among the Louis Vuitton team – were very excited by contemporary art. Bernard Arnault the Chairman and main shareholder himself, (designer) Marc Jacobs when he joined in ’97, was really at a moment when he was starting his own collection and his own connection with art. Many of us, you know with the means that we have, have been starting to collect…I have been collecting for a long period of time. I have an Anish…I bought Anish many years ago. I also live with a very big Ganesha that comes from Cambodia, 14th century; it is really in a part of the most important area of the house. But more seriously, this has been accelerated over the last 15 years and taken several dimensions that go from the collaboration with artists to create new products. And it was of course Marc’s decision to go with Stephen Sprouse, with Takashi Murakami, Richard Prince…. Always with a reason, it was not just let’s take an artist who will be trendy. In the case of Sprouse, Marc came to see me and said it has always been a part of our tradition to paint the initials of the client on the trunk, so painting on the monogram was really part of the tradition of Louis Vuitton. ‘I would like to celebrate this tradition, but modernise it by using graffiti’, and that’s how he came up with the idea which was an enormous success. Or in 2002, we were just after September 11, the world of fashion was really influenced by the gloomy and mournful atmosphere and he said, ‘I want in the next show to bring again liveliness, colour; I think it is our job in fashion to contribute also to change the world’. He said don’t be surprised that my show will be very colourful and I think that the message will be even stronger if I collaborate with an artist. Do you think I should call Takashi (Murakami)? We all thought it was a great idea and the same night we sent an email. 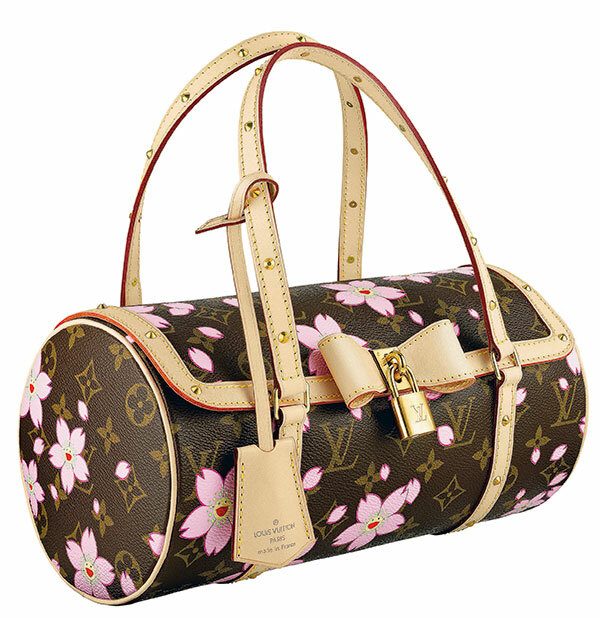 It became not only a collaboration between Marc, Takashi and Louis Vuitton but a great friendship. And probably the most interactive process that there has ever been between an artist and a luxury house. Last year, we were in Bangalore visiting the house of a good friend of Tikka (Singh), who has become a friend of ours. He was showing us his collections and discussing that Takashi has never made rugs. So it is India that influenced the fact that we talked to Takashi about doing rugs that were exhibited in the Guggenheim Museum. 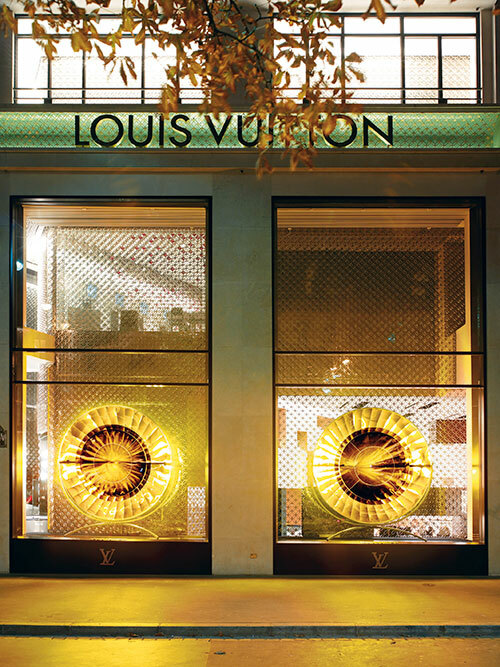 We have started several cultural places – one on the Champs Elysee, one in Hong Kong, in Taipei, several projects where we are ready to exhibit very known or very unknown artists and give them a chance to be seen by a much wider public than in a gallery because we bring the crowd of Vuitton to young artists. We are also working on a future Louis Vuitton foundation. What do the artists bring to the brand? They bring a fresh, new eye. I think in our world of luxury, the key of success is to respect your eternal values – the quality, the craftsmanship, who you are, your history. We exist and we continue to exist because we bring creativity. But artists bring us their freshness, sometimes their very strong point of view, which may be surprising to us and can be even complicated to swallow. I remember when we commissioned Danish artist Olafur Eliasson, to do the shop windows, he came up with the idea for a piece of art that he called ‘Eye See You’. We used a light and a very specific glass that represented a big eye in every window looking at the passersby. The eye was looking at you, you were looking at the eye. You saw yourself in the eye with the city behind. That was a Christmas window. We had a fake window in the office where we set it up first. We asked him, ‘How do you see the products? In a box?’ And he said ‘You must be joking. I am not going to put products with my piece of art’. We had to convince all our store managers, no products in the window for Christmas. And we never had traffic like that ever before because people were so surprised. So when you ask me what art brings, it brings points of view, it brings out of the box creativity and ideas, it surprises and at the end of the day, I firmly believe that art changes life. The art collection at the Louis Vuitton shoe factory? We have built our shoe factory in Italy – 12000 square metres of a modern factory with concrete walls. 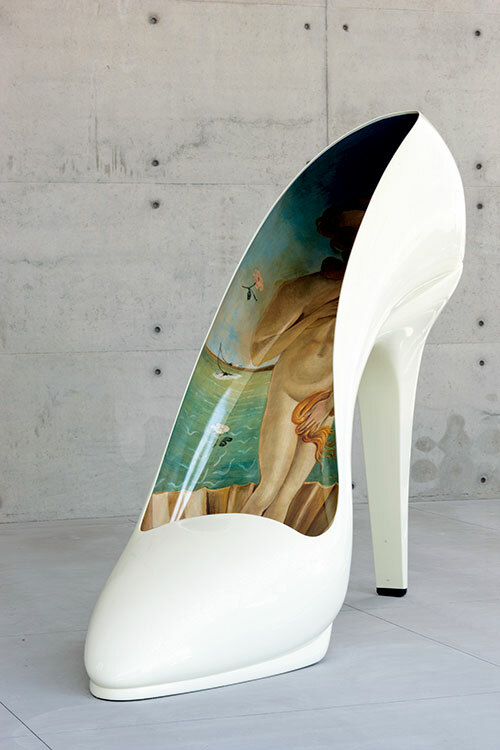 We have there a collection of contemporary art completely dedicated to shoes. We built an art gallery inside the factory. We have nearly 300 people working there and the craftsmen are working in the middle of an art exhibition. They are so proud and we are so proud of them. When each time we exhibit a new piece, they all go and see it. It shows that interaction between art and humanity is not necessarily commercial. It almost brings spirituality to another level. It puts people in another mood when they are facing beauty. If you put people in front of beauty of a very creative process, that changes the perception of life and their own perception of themselves. 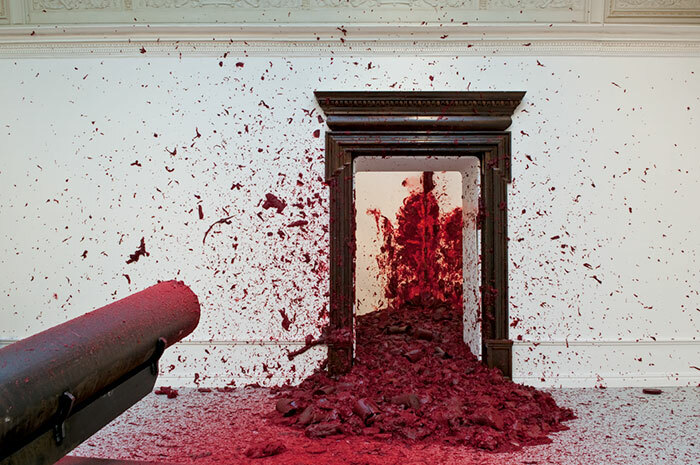 How did you get involved in the Anish Kapoor exhibition? We have an Anish Kapoor in front of our store in Dallas, which is in a mall that is owned by people who are mad over contemporary art and as part of the contemporary art surroundings. Of course when artists who have been working with us, need our help to do something interesting, we try to do it. So when Anish said, I have never done an exhibition in India, would you like to help, we said yes. We know his gallery in London since many years. We had bought a big piece for Louis Vuitton. You appreciate much more the work of the artist when you know the artist. Your relationship with a piece of art is not about, it’s a famous artist. If the piece has to influence you, the artist has to interact with you. It is not easy to raise money for art, in India. I am very proud that it is us.